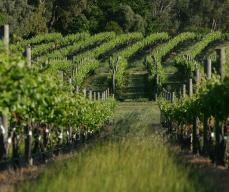 Food and wine enthusiasts will enjoy this wine cruise tour to the Swan Valley wine region. Enjoy morning tea shortly after boarding. Relax and take in the scenic river atmosphere as you listen to the Captain's informative commentary on the Swan River's history. Your first wine tasting is also on board the cruise which is accompanied by cheese and biscuits. Disembark and spend the afternoon at Sandalford Estate, a prominent winery in the Swan Valley. Swan River cruise, morning tea, wine tasting with cheese and biscuits on board cruise, winery tour, film presentation, wine tasting and two course lunch at Sandalford Wines, afternoon tea and entertainment on board cruise.